Arsène Wenger has issued out a statement today saying he will not be in charge of Arsenal Football Club come next season. The Gunners manager had come under intense pressure and criticism due to the clubs failure to effectively challenge for the league title in over a decade. Wenger who arrived at Highbury in 1996 said that he felt it was the right time for him to step down as Manager for the London club. 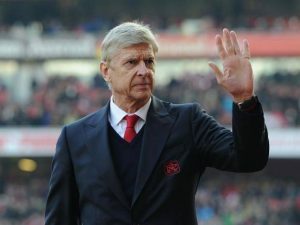 “After careful consideration and following discussions with the club, I feel it is the right time for me to step down at the end of the season,” said Wenger in a statement posted on Arsenal’s website. “I am grateful for having had the privilege to serve the club for so many memorable years. Arsenal will now be in the hunt for new coach to take the football club forward with former player Patrick Vieira widely tipped to become the next manager succeeding Wenger. Vieira appeared 407 times for Arsenal between 1996 and 2005, is currently head coach at New York City FC having spent more than four years working with Manchester City’s youth teams.